Andrew and I had a wonderful evening making music with Chris Long and Paula Evans (a.k.a Aphelion) in Pershore Abbey. That ole thing called chemistry! A taster... my distillation of the evening. It reminded my of why I love to sing. I had never sung with Paula before and hadn't played with Chris for years. Andrew hadn't played with either of them before. There we all were, making music magic. What bliss! I remember that shirt! Chris is at the back on keyboards. 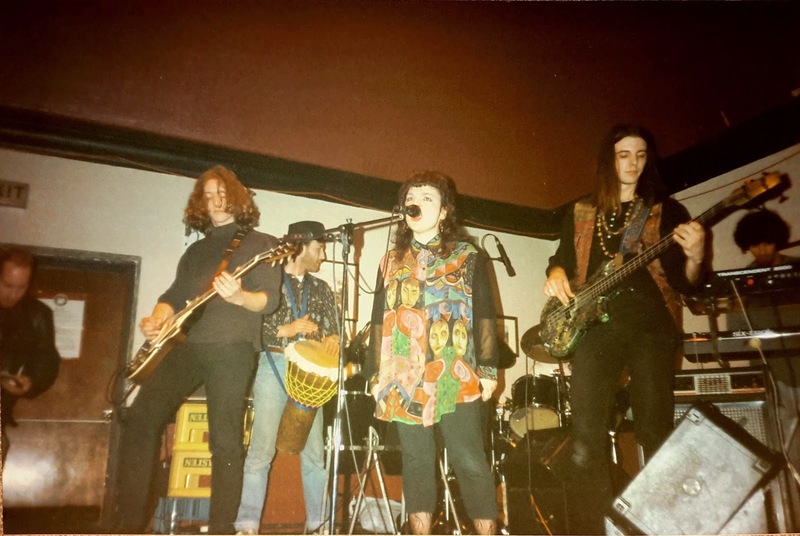 The other members are Leigh on guitar, Frog on drums (apologies for forgotten surnames), Paul Warren on djembe and Alonza Bevan on bass (before Kula Shaker).